Sheikh Ahmad Al-Fahad Al-Sabah is set to stand unopposed for re-election as President of the Association of National Olympic Committees (ANOC) later this month. Sheikh Ahmad has led ANOC since 2012, when the Kuwaiti official succeeded Mexico's Mario Vázquez Raña. He was re-elected in 2014 on a four-year term, which is due to conclude this year. Sheikh Ahmad looks set to secure another term as President of the organisation, which is aimed at helping National Olympic Committees work in collaboration with the International Olympic Committee (IOC) and International Federations (IF). ANOC secretary general Gunilla Lindberg confirmed Sheikh Ahmad will be the sole candidate in the election later this month at their General Assembly in Tokyo following the conclusion of the nominations process. The Swede made the announcement in a speech at the European Olympic Committees' General Assembly here. Confirmation of the sole candidacy is unlikely to be considered as a surprise. The influential IOC member has enjoyed the strong backing of key members of ANOC. 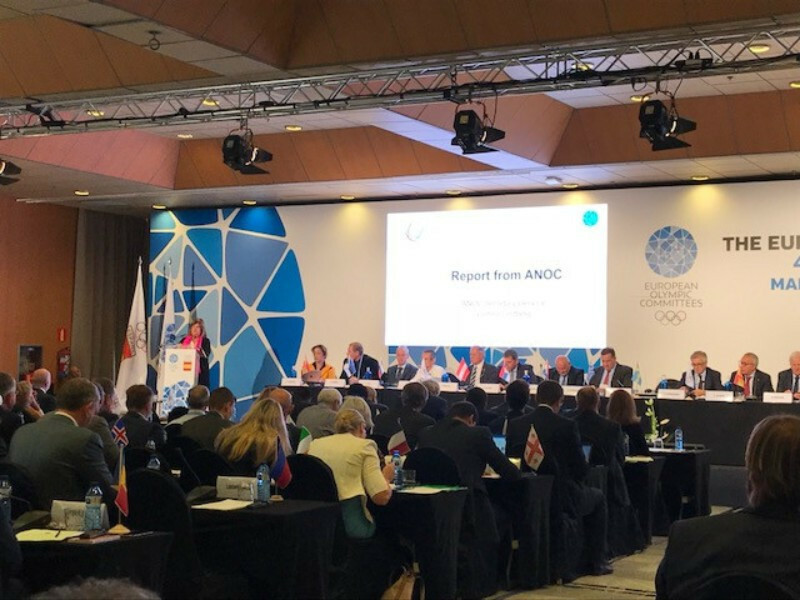 At last year's ANOC General Assembly he received a round of applause from delegates in Prague after being "cleared" of wrongdoing following allegations of corruption. It followed a speech by Uruguay's Julio Maglione, who had been announced as ANOC first vice-president as a replacement for Ireland's Patrick Hickey, in which he claimed to have taken "requisite action" to "dispel any doubts" about Sheikh Ahmad's integrity. Sheikh Ahmad, also President of the Olympic Council of Asia (OCA), was identified in a United States Department of Justice document in April in a case involving Guam's Richard Lai. Lai pleaded guilty to charges of receiving nearly $1 million (£773,000/€915,000) in bribes connected to football governing body, FIFA. Sheikh Ahmad was also cleared of wrongdoing by the OCA at their 2017 General Assembly in Ashgabat. An IOC ethics probe is supposedly still continuing. Fiji's Robin Mitchell looks set to become the ANOC senior vice-president after he was confirmed as the sole candidate for the post. Mitchell currently serves as an ANOC vice-president due to his role as the President of the Oceania National Olympic Committees. He also sits on the IOC Executive Board. The Fijian official will replace Maglione in the post should, as expected, his election to the position is confirmed at the ANOC General Assembly in Tokyo. An election was also held here to determine a European representative on the ANOC Executive Council, with four candidates in contention for the post. Polish Olympic Committee President Andrzej Kraśnicki was elected having received a total of 27 of the votes cast. Czech Olympic Committee vice-president Roman Kumpost secured 11 votes, followed by Annamarie Phelps, the former chair of British Rowing, who earned seven. Finland's Roger Talermo, who was seeking re-election to the Council, earned five votes. The ANOC General Assembly is set to take place in Tokyo on November 28 and 29.